Gauthier and Sons' Construction, Inc. was founded in 1930 by Alex Gauthier. The company established itself as a grading contractor serving municipalities, general contractors and residential contractors. Alex's son, Ervan began working with his father in 1936. Alex passed away in 1960, and in 1964 the company incorporated and unionized. 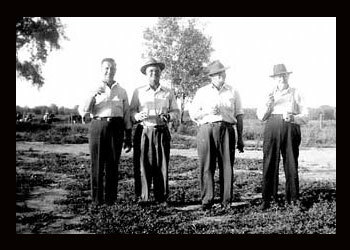 (Alex Gauthier is pictured here in 1948, second from left). 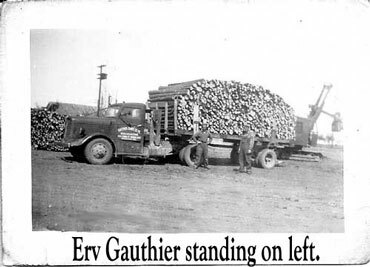 During World War II, Gauthier turned to logging and sawmill operations to help support the war effort. Material they produced was used in ship construction by the US Navy. 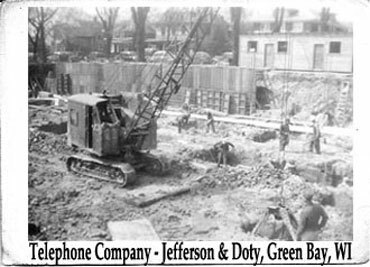 Following the war and years later, contracts included hauling sludge by-products for American Can Paper Company and other business like the Bell Telephone Company. 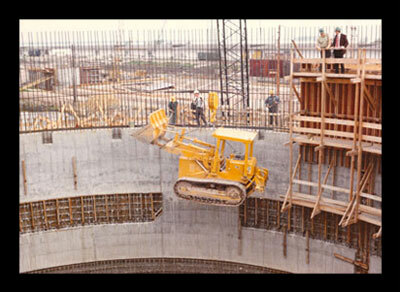 A very significant project that gave Gauthier great recognition, was the construction of the Green Bay Metropolitan Sewage District in 1972. The Green Bay Metropolitan Sewage District project started in 1972. Gauthier was awarded every excavating subcontract on the project which ended in 1976. The Pump Station building is a fifteen story building (the tallest in Green Bay) of which ten stories are beneath the ground surface. The Green Bay Met Project set the standard that Gauthier still prides itself on today, "To serve the customer with qualified personnel in a professional manner." In 1985, the retirement of Ervan Gauthier led to the leadership of his sons, Tom, Ron and James. Tom Gauthier succeded as president and currently holds the high standards put in place by his father and grandfather. Ron Gauthier was appointed as executive vice president and James vice president. Ron and Jim have since retired, but still hold the Gauthier reputation of great integrity.